Conquering the world means sticking to your values, being able to be authentic, to find the balance between your work and life, and knowing that your happiness is non negotiable. Conquering the world goes beyond properties, awards, and bank accounts. If you are not fulfilled as a person, it will have no substance. The Pamela Silva Conde Scholarship has been established in order to provide first-generation, low-income, journalism and business majors with the financial support they need to further their education. 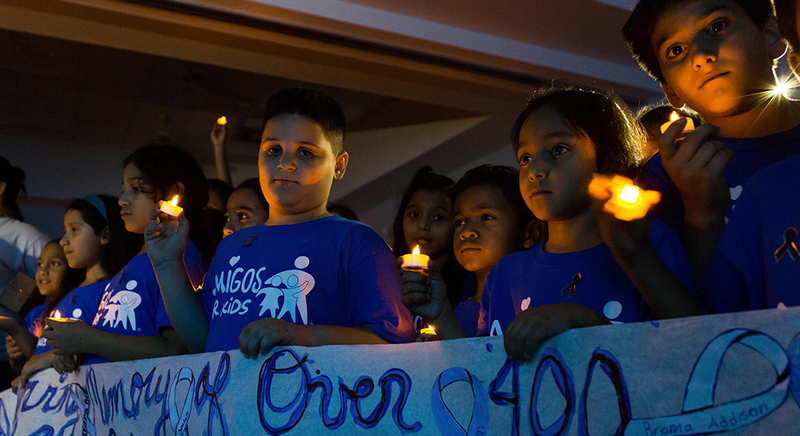 Amigos For Kids® is a nonprofit organization dedicated to preventing child abuse and neglect by valuing children, strengthening families and educating communities. St. Jude is a pediatric treatment and research facility. Discoveries made here have completely changed how the world treats children with cancer and other catastrophic diseases. The mission of St. Jude Children's Research Hospital is to advance cures, and means of prevent, for pediatric catastrophic diseases through research and treatment.